Don owned and operated his tax and accounting practice, Twin County Bookkeeping, for 25 years in Markdale, and sold the business to RBA Financial Group in 2008. This decision brought together two businesses with a future of expanded Financial Services combined with the continuation of the present tax preparation, bookkeeping and accounting services. Service is provided at the same location of 27 Main Street East in Markdale. Don grew up in Toronto, moved to British Columbia in 1973 for work and education reasons, and then relocated to Markdale in 1983. Don and his wife Jan have 3 adult children and 2 grandchildren. 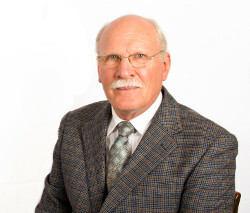 Don is actively involved in the Grey Highlands Chamber of Commerce as Treasurer. His hobbies include travel, hiking and gardening with Jan and playing old timer hockey during the winter.